We know that some plastics are safe for some things and not others. I try to avoid plastic when I can and use glass but its not always possible. Here is a chart showing what is safe and what is not. To be safest, never microwave or heat foods in plastics. Polyvinyl chloride (PVC) is used in a wide range of consumer products, including Reynolds Wrap and cling wrap for most grocery stores, as well as bottles, packaged food trays and cooking oil bottles. PVC is also used for plumbing materials, as well as medical tubing and bags. Reason to Avoid: Polyvinyl Chloride (PVC) contains phthalates, which are known to disrupt hormones — especially testosterone. Congress has banned the use of these chemicals in toys because of research that indicates developmental and reproductive damage. Vinyl chloride is a known human carcinogen. Additionally, the manufacture and incineration of phthalates releases dioxin, a known carcinogen and hormone disruptor. Polystyrene (PS) is one of the most widely used plastics. There are two forms of polystyrene — inflated and non-inflated. The most recognizable inflated polystyrene is Styrofoam®, a Dow Chemical Company trademarked product. Non-inflated polystyrene is used to make cups, bowls, plates, trays, cutlery, take-out containers, meat trays and egg cartons, as well as packaging for shipping. 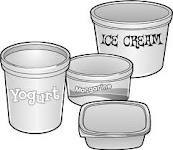 Reason to Avoid: This type of plastic can leach styrene into food, especially when heated. Styrene is classified as a possible human carcinogen by the EPA and by the International Agency for Research on Cancer. The #7 designation – a catch-all for plastics that don’t fit in any other categories – are often polycarbonates (PC). Polycarbonates are used in many brands of plastic baby bottles, “sippy” cups for kids, reusable water bottles and dental sealants . Also used in the inner lining of food cans. Reason to Avoid: Polycarbonate plastic is the only plastic that is made with bisphenol-A (BPA), which has been found to mimic the hormone estrogen and disrupt the body’s endocrine system. Public health advocates say it poses a particular risk to fetuses, infants and children. The National Toxicology Program issued a report last year that includes concerns about BPA’s effects on the brain, prostate gland, mammary gland, and behavior in fetuses, infants and children. Used in disposable containers for most bottled water, bottled soft drinks, juice, mouthwash, ketchup, peanut butter, jelly and pickles. Also used in microwavable trays. This plastic is fine for single use. Avoid reusing #1 water and soda bottles because the plastic is porous and these bottles absorb flavors and bacteria that can’t be cleaned out. High Density Polyethylene (HDPE / #2) is a cloudy or opaque plastic used for jugs of milk, water, juice, shampoo and detergent, as well as cereal-box liners. Low Density Polyethylene (LDPE / #4) is used for cling wraps and food storage bags, garbage and grocery bags, squeeze bottles, and coatings for milk cartons and hot-beverage cups.These plastics are generally good choices as they transmit no known chemicals into food and are generally recyclable. A cloudy or opaque plastic used in most Rubbermaid containers, cloudy plastic baby bottles, deli soup containers, and containers for yogurt, margarine, ketchup and syrup.Like 2 and 4, this plastic transmits no known chemicals into food. Biodegradable polyester derived from renewable resources, such as corn, potatoes, sugar cane and anything else with high starch content. Bio-based polymers can be composted in a municipal composter or in a backyard compost pile. The best, and least dangerous, choice.